We are delighted that Ulster Bank won the Best Cause Sponsorship Award last week for the ‘Enabling Social Impact Campaign’, a campaign we developed the strategy, creative, copy and communications for. We were approached by the team at Ulster Bank to develop a campaign to support the brand’s sponsorship of The Wheel Conference. The Wheel is an annual event that brings the Not For Profit community together delivering the latest thinking about the community’s work to deliver positive social change. 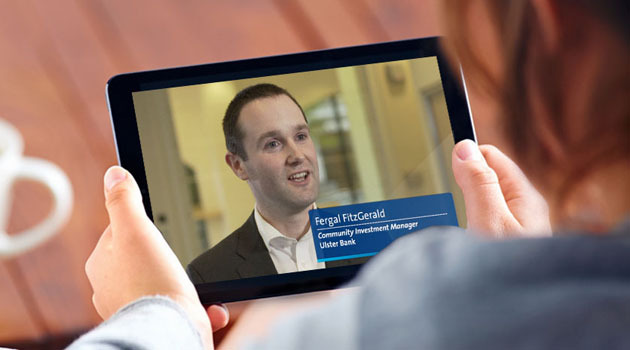 Ulster Bank commissioned research to better understand how to meet the needs of the sector. We distilled the research into a key insight; that all NFP’s irrespective of lifestage or age are bonded by a common goal, that of making a difference, or creating social impact. Ulster Bank have long been committed to Not For Profits in Ireland and continue to offer support, information and products specifically suited to the sector to help facilitate real change. 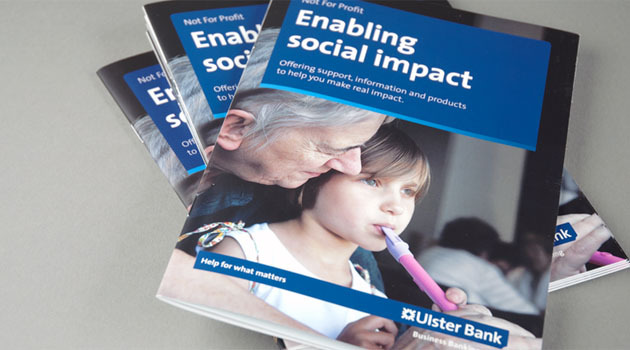 Ulster Bank’s committment to the sector allowed us to create the campaign platform ‘Enabling Social Impact’. The over riding campaign look and feel and messaging was executed across all communications for the event including digital display ads, social media, event brochures, press ads, environmental graphics, a 5 minute video that was played on the day.